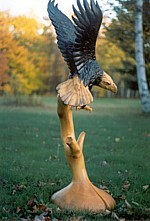 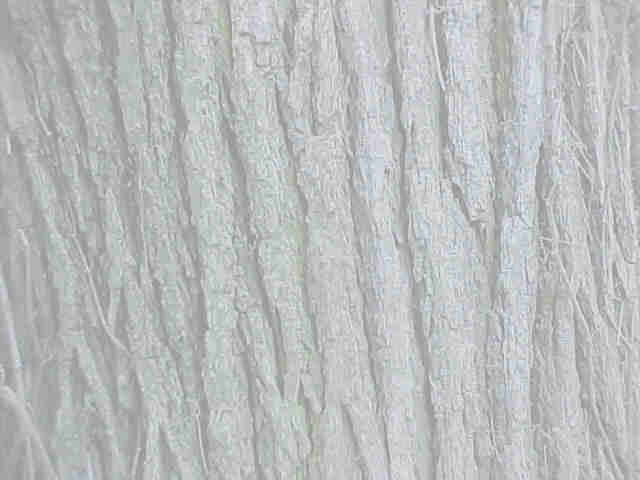 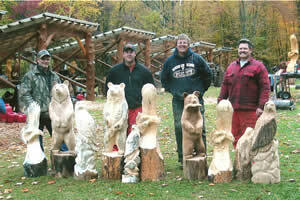 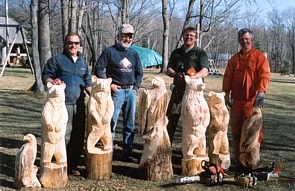 Wisconsin School Of Chainsaw Carving - Welcome! 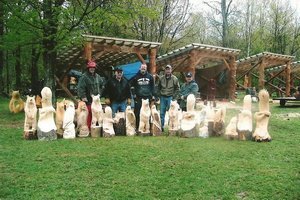 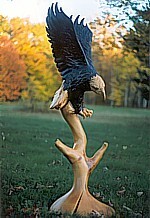 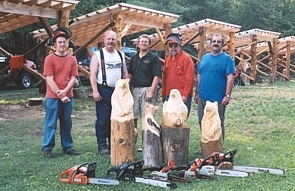 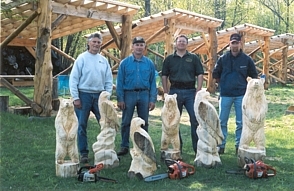 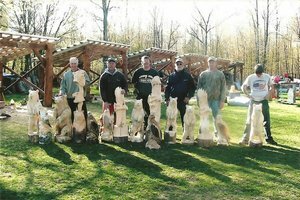 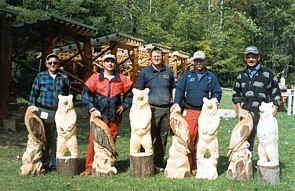 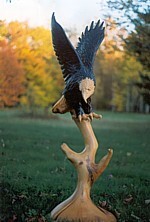 The only state-licensed chainsaw carving school in the United States. 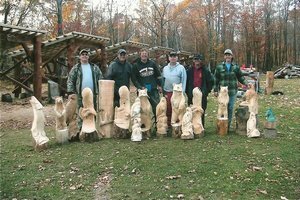 In-depth chainsaw carving training for the career-oriented student. 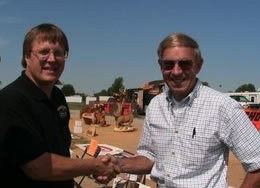 Lead judge Brian Johnson shakes hands with David Maase, famous wildlife painter and competition judge. 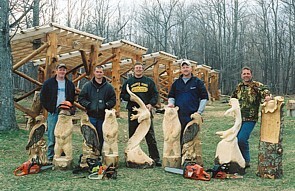 Wisconsin School of Chainsaw Carving. 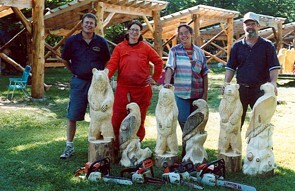 Students come from all over the world such as Talya Selbst of Israel. 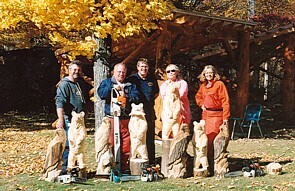 Nick Klausen of "Minnesota Bounds" T.V. 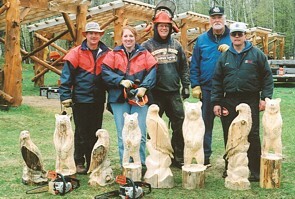 Outdoor Program did a show on the school, with a very eventful day of different tools demonstrated, interviews with students, and catching them in action. 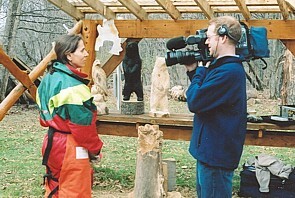 Pictured to the right he is interviewing Talya Selbst from Israel. 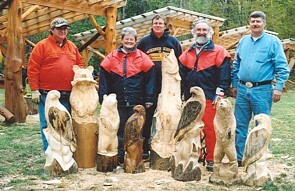 For Talya's testimonial and others, check out the testimonials page.